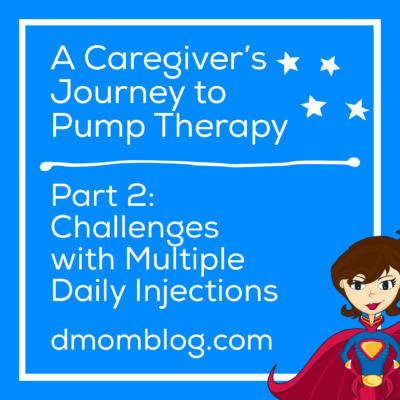 “A Caregiver’s Journey to Pump Therapy Part 2: Challenges with Multiple Daily Injections” originally appeared on Insulet’s Omnipod Suite D blog, now called Podder Talk. In full disclosure, Insulet compensated me for the content that I created for them, but I am not being compensated for sharing it today. 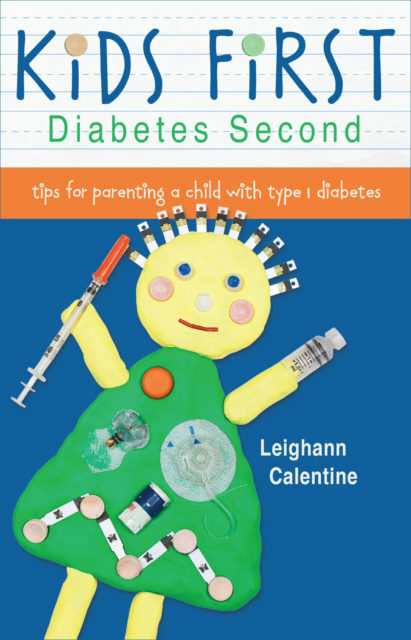 Check out part 1, where I recount my daughter’s diabetes diagnosis. When our daughter was on multiple daily injections, she received four injections a day: three were fast-acting insulin injections given at meal times to cover her food and to bring her blood sugar back down into range, and the fourth was long-acting insulin given at bedtime. 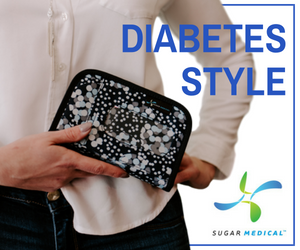 The frustration with injections for us was that no matter how closely we counted carbs and did everything we were supposed to do, we just couldn’t seem to get her A1C down into the range that it should have been for a child with diabetes her age. I did everything by the book, and that meant that I had to run a very tight ship. Our schedule was very regular. She had three meals and three snacks that were all timed so that the fast-acting insulin worked as best as it could. But because she was so young, diagnosed at just three-years-old, how much she would eat could vary greatly. To make sure that she was only getting insulin for the food she actually ate, we gave her insulin after the meal. Insulin works best when it has time to start working, but that was the best we could do. Because her meals and injections needed to be spaced out, we pushed her bedtime back to 9:00 PM, which was very late for such a young child in my opinion. But with dinner beginning at 6:00 and her post-meal injection at about 6:30, that meant her bedtime snack and long-acting insulin injection didn’t happen until 8:30. And we still had to brush her teeth, read to her and snuggle. One of the biggest issues for me was the loss of spontaneity. Every time we left the house, whether to walk around the block, go to the park or go on a play date, we had to plan around snack and meal times. And I had to carry such a large number of supplies, including everything for injections, plus snacks and emergency juice and glucagon. Not to mention that I had to watch the clock to make sure we had her next snack or meal on time. We chose to use an insulin pen for her short-acting insulin, which was much simpler and more precise than using syringes. The long-acting insulin that she received at bedtime by syringe always seemed to burn. Multiple daily injections required so many steps, too: using an alcohol swab to clean both the injection site and the vial of insulin, attaching a pen needle to the insulin pen, giving the injection and then disposing of all the waste. For her long-acting insulin, we also had to draw up the right amount. The crosshairs on a syringe with half units are not really easy to see! If she was spending the night with her grandparents, we had to draw up her long-acting insulin for them. 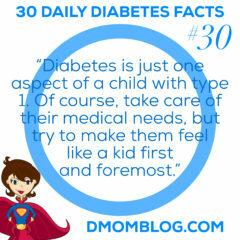 Not to mention that my child had physical pain four or more times a day! At one point shortly after diagnosis, she decided that she absolutely did not want to get another injection. What could I do? 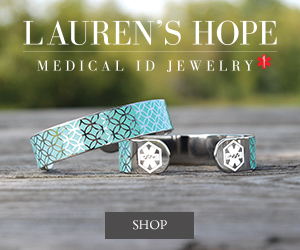 She needed insulin to literally keep her alive. It was definitely a struggle at times. When she began kindergarten, being on injections did make her different than her classmates. At that time, the school nurse was only there at lunchtime. Because there was no one to give her an injection at other times of the day, her morning snack was restricted to 15 grams of carbs, no matter what or how much the other kids ate. And if the nurse wasn’t there to give her insulin for birthday cupcakes, she had to have one of her 15-carb “special occasion snacks” that we kept stocked at school. We did the best we could back then, even if looking back we could have maybe handled treats a little differently. 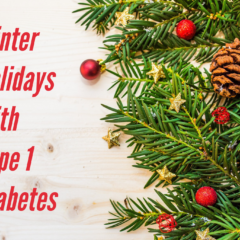 Stay tuned for the next chapter in my and my daughter’s diabetes journey: exploring the idea of going on an insulin pump. 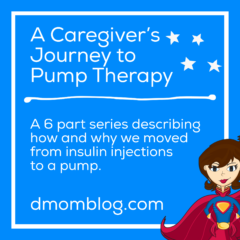 And keep coming back for the rest of the Caregiver’s Journey Series, which covers topics like working with our healthcare provider to prepare for an insulin pump, choosing an insulin pump, and more. It was actually a group of High School kids that convinced me to go off of MDI and get a pump after 26 years. 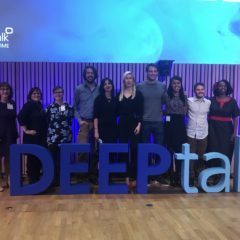 When i spoke with them I was the only Type 1 in the room not on a pump. I got to the parking lot, called my doctor and 3 weeks later I started on a pump.